Be sure to check out the whole post and enter to win a Crock-Pot® slow cooker! It’s no secret that I love to entertain. 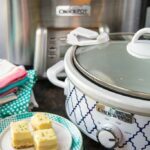 And I’m sure it comes as no surprise that when we have people over not only do I love to have plenty of delicious food on hand, I love to use my slow cookers! I mean, there’s no better way to have a great meal for your friends and family that also allows you to spend time mingling instead of rushing to get food ready while your guests wait. 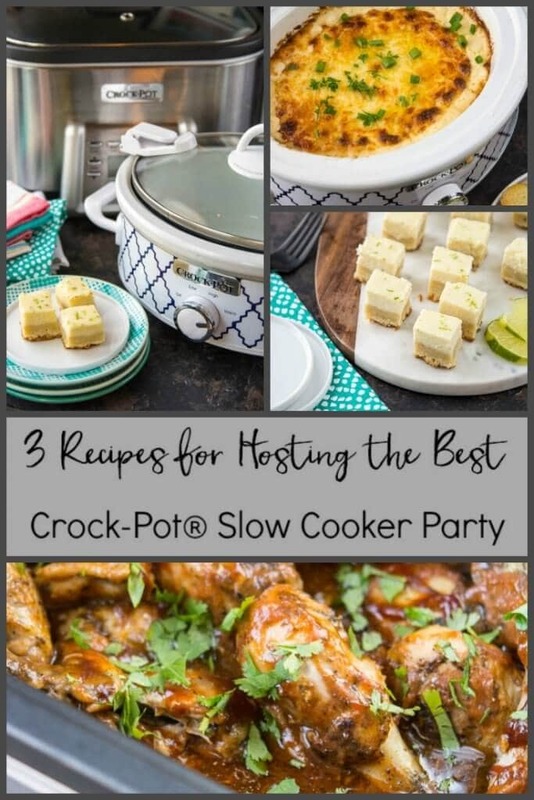 So when the Crock-Pot® brand contacted me about throwing a “Crock-Squad Party”, you can bet I was quick to jump at that opportunity! 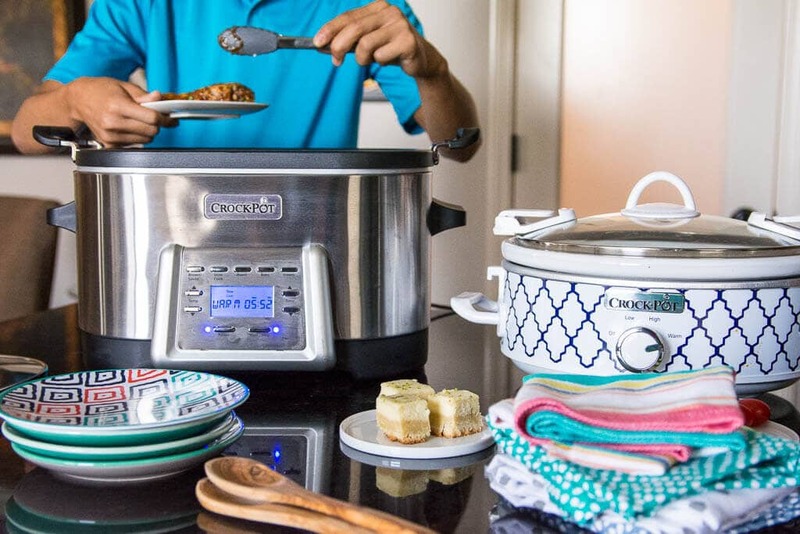 Not only do I love the idea of showcasing how you can create a whole meal using only your slow cookers, I was excited about the opportunity to try out a couple of Crock-Pot® Slow Cookers I hadn’t used before. First up was the Crock-Pot® Casserole Crock™ 2.5-Quart Oval Slow Cooker. I’ve used the larger one for many recipes, but I love the addition of this smaller one to my line-up. It’s perfect for smaller meals and was just the right size for the appetizer recipe for my party. 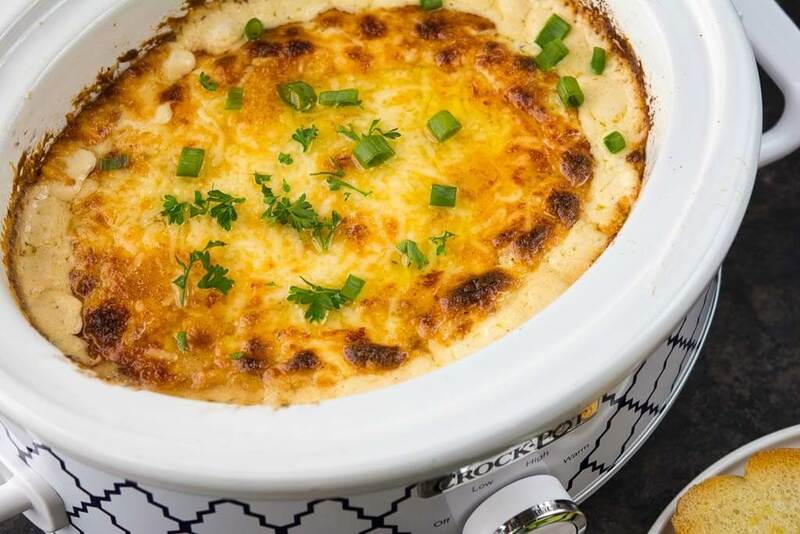 In planning my menu, I got to thinking, who doesn’t love kicking off a party with a good onion dip? Especially when it has plenty of melty delicious cheese?! This is so easy to make and was such a hit, everyone wanted the recipe! It’s important to use a Videla or sweet onion in the recipe. It provides the perfect mild flavor that pairs perfectly with the sharp white cheddar and the salty asiago cheese. I suggest dicing up the onion rather than slicing it into strips. This way it’s easy to scoop up some dip! And I promise everyone will keep coming back for more. You can just keep it on warm the whole time your party is going on. Serve it up with some delicious bread, veggies and chips and you will have everyone hanging around the kitchen to grab another bite. 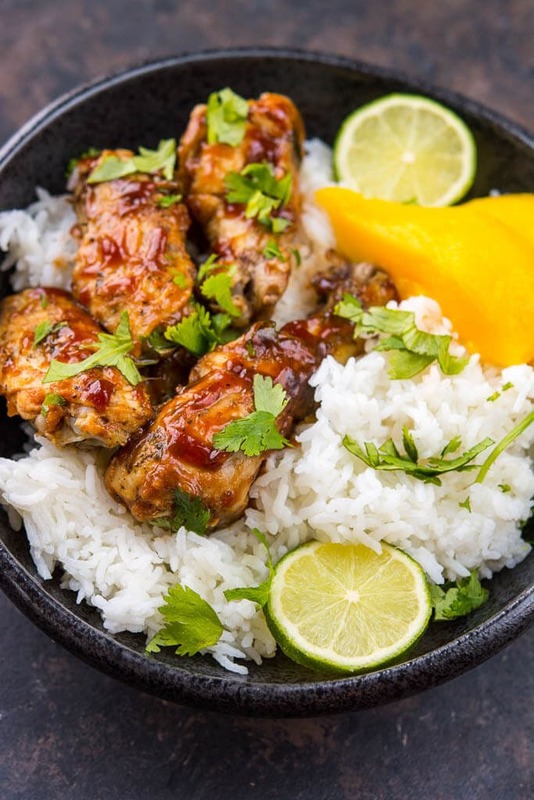 And when you’re thinking about feeding a crowd some great summertime eats, you just can’t go wrong with plenty of juicy and flavorful chicken wings! Who doesn’t love them?! And my motto is to never stand over a hot grill when you can make something in a slow cooker. 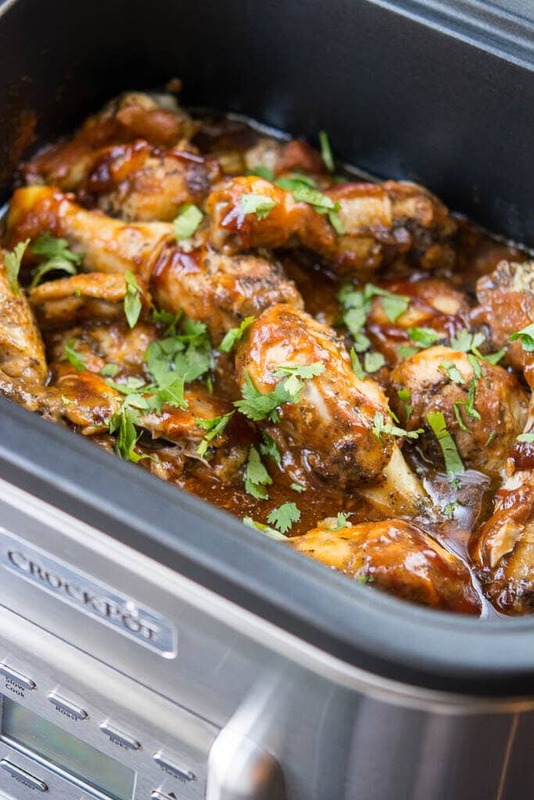 I was able to try out the Crock-Pot® 5-in-1 Multi-Cooker to make these wings and drumsticks and I can tell you it is the best way to go. It was simple to season and then brown my chicken right in the multi-cooker. While that was going I whisked up my quick sauce and then poured it over the chicken and switched the multi-cooker to slow cook for the rest of the day. No extra frying pans or mess to clean up. I was able to leave my meal to cook and I had plenty of time to decorate, get myself ready and even just relax a bit before the party started. 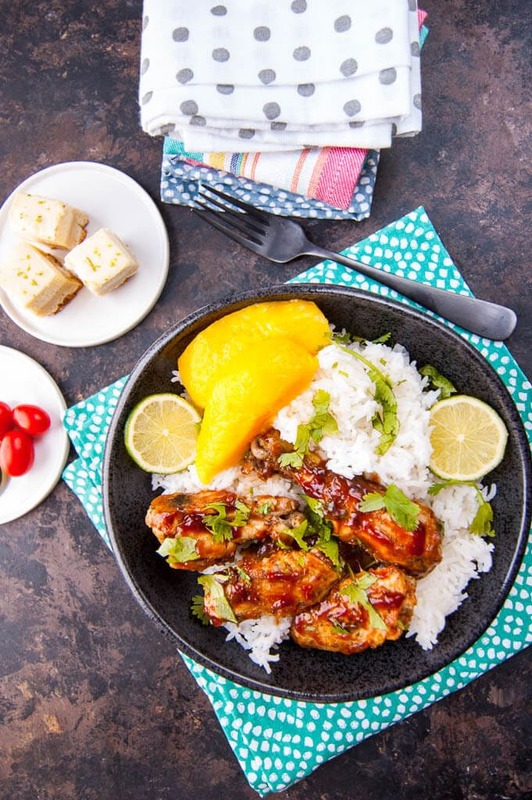 These can be served up as finger food right out of your Crock-Pot® 5-in-1 Multi-Cooker or you can make them more of a meal by serving them up with rice and mango slices to create the perfect bowl. The last recipe of the day is actually the recipe I made first. 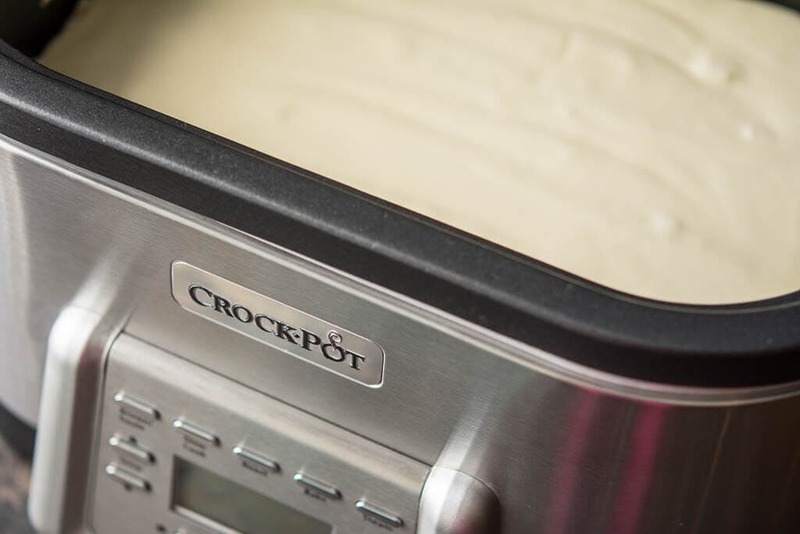 Do you know about all of the things the Crock-Pot® 5-in-1 Multi-Cooker can do? It has a so many capabilities besides just the slow cook and sauté options. I just had to try out the bake function! While I’ve made several baking type recipes (cookies and cakes) in the slow cooker, I’d never had a chance to try out one with an actual baking option. 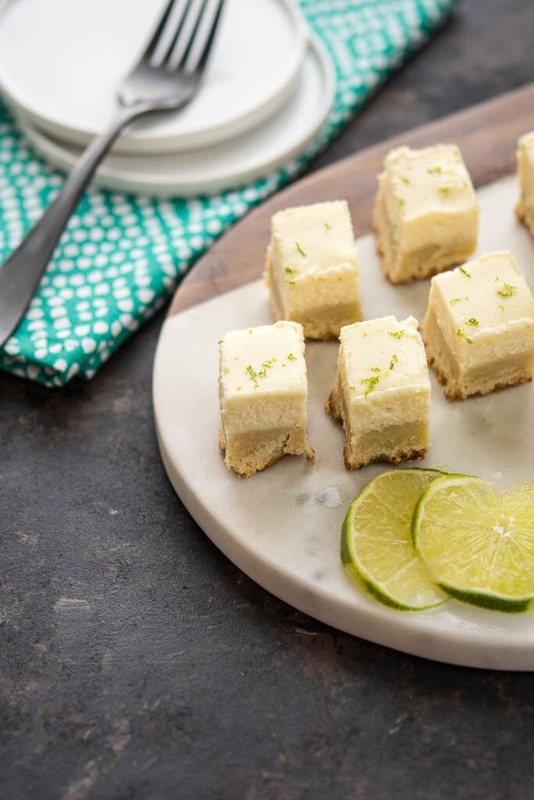 I whipped up my favorite Lime Twist Cheesecake Cookie Bars and then pressed them right into the bottom of the slow cooker. Twenty minutes later my bars were perfectly cooked and I never even had to turn on my oven. I cut them up into tiny bite-sized pieces perfect for the party. 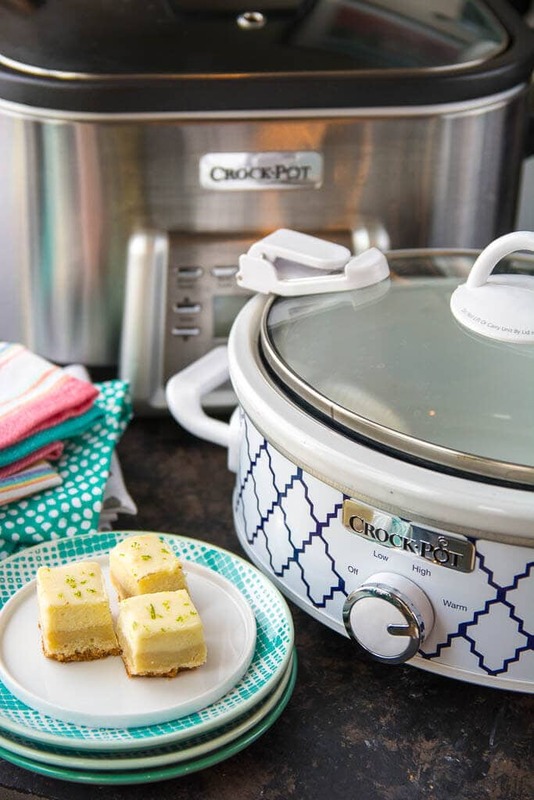 Want a chance to win your own Crock-Pot® 5-in-1 Multi-Cooker? I’m so excited for the opportunity to be able to host this giveaway! Make sure you enter below! Want another chance to win? Post your own “Crock-Squad” recipe over on Instagram and be sure to hashtag it #CrockSquads. And don’t forget to check out even more recipes over the Crock-Pot® Slow Cooker Facebook page! OMG, I have wanted one of these so bad! I first seen them on QVC or another shopping show and fell in LOVE. Thank you so much for the chance to win one! Good luck!! I wish everyone could win!! But they are seriously a great purchase if you can swing it. I use mine for most everything. 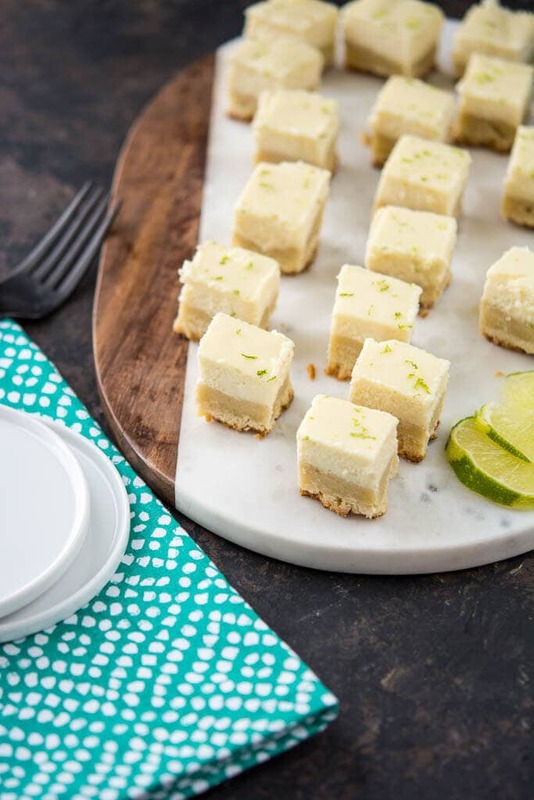 I forgot to ask (as I was drooling over your Crock-Pots) if you lined your crock when you made the CROCK-POT® SLOW COOKER LIME TWIST CHEESECAKE COOKIE BARS? Your slices are so perfectly defined that I wondered if you used parchment paper to lift them out before slicing. After salivating over your recipes and the pictures of them… I’m thinking I need to ask my Realtor to check for home sales in your neighborhood – you know, just in case you needed another neighbor to be a taste-tester! Major Yum! WOW! 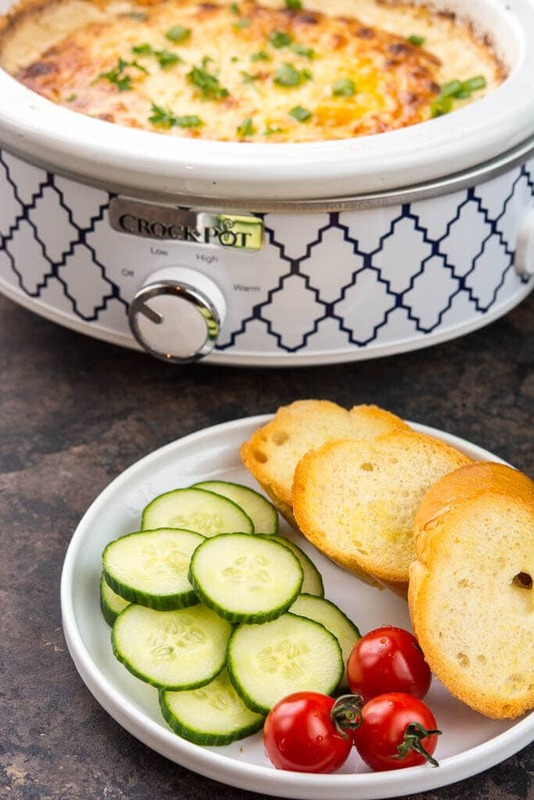 I had no idea that there was a slow cooker out there that did EVERYTHING! I grew up on crockpot meals….just starting using my mother’s a few years ago. It really helps with time management. I agree! Saves our family money and time! Fairly new …love the meal plans seen thus far. I love the crock pot cooking…frees up my time and keeps the pallet happy! Keep up the great work. Thank you so much, Kay! Jennifer and I are so happy you are enjoying the meal plan and that it’s freeing up your time! Thanks so much! Wow, that multi-cooker looks amazing! Would love to try the bake mode. Thanks for the chance to win one!